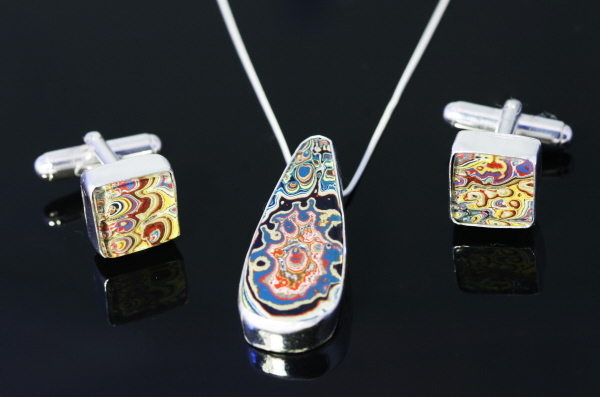 This is a gorgeous set of silver set Fordite jewellery I created for a customer. We spent time picking out the best set of Fordite cabochons for the set and I then made a large necklace and set of cufflinks. it is not always possible to match Fordite cabochons TOTALLY when they are already cut as the material varies so much but I think these pieces at least complement each other beautifully.